Give a special someone (plush) VD for Valentine’s Day. Syphilis, anyone? 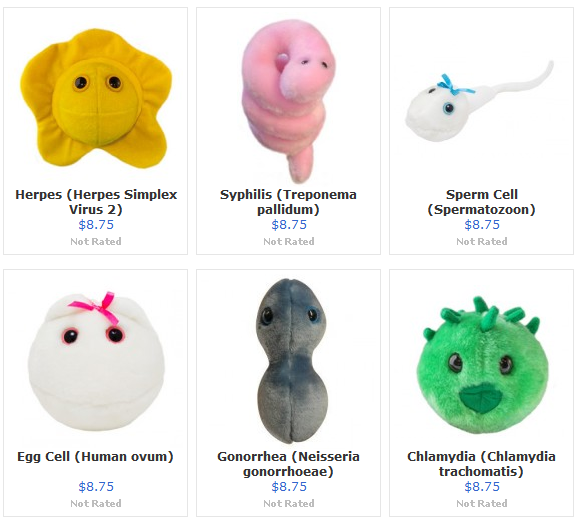 Fractalspin just added some hilarious gifts in time for Valentine’s Day–plush venereal diseases by Giant Microbes. Choose from chlamydia, herpes, and syphilis. If you don’t feel like sharing a disease, there’s also sperm and egg plushies for a more traditional gift.